This is a black 1000 foot spool of indoor/outdoor plenum rated fiber optic distribution cable intended for large installations of short range runs at LAN Speeds. 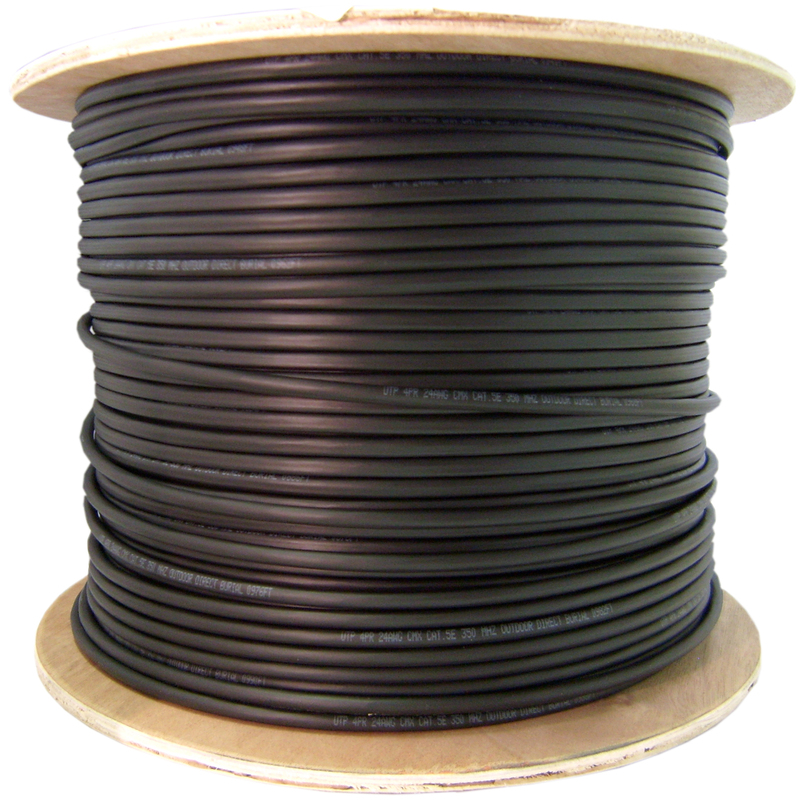 It is composed of 6 multimode fibers (62.5 micron core) inside a water blocking Aramid yarn wrapped in a black PVC outer jacket. Multimode fiber is optimized to work with fiber optic equipment using light wave lengths of 850nm (nanometers) or 1300nm. The cladding diameter is 125 microns.